Today on the podcast, we’re talking about the brand new role-playing game F4llout. It’s a Fallout 4 extravaganza! Fallout superfan Patricia Hernandez joins us on this week’s episode of Kotaku Splitscreen to talk about her adventures in the wasteland. 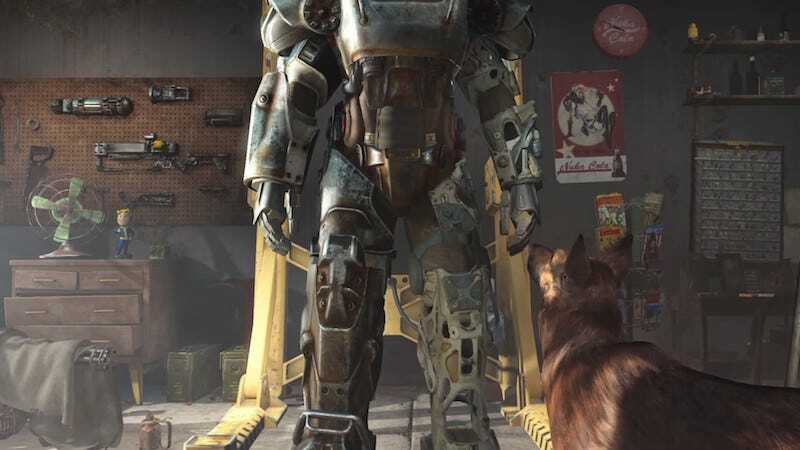 We’re talking guns, glitches, Bostonian accents, and how this game would just be so much better if you could mod the dog to be a golden retriever. If you like Kotaku Splitscreen, come subscribe to us (and leave a rating!) on iTunes. If you don’t like Apple, you can subscribe to the RSS feed right here. You can contact us with reader questions (to be answered on the podcast), comments, suggestions, and anything else at splitscreen@kotaku.com.